So the white v-neck is gone, replaced by nothing much. 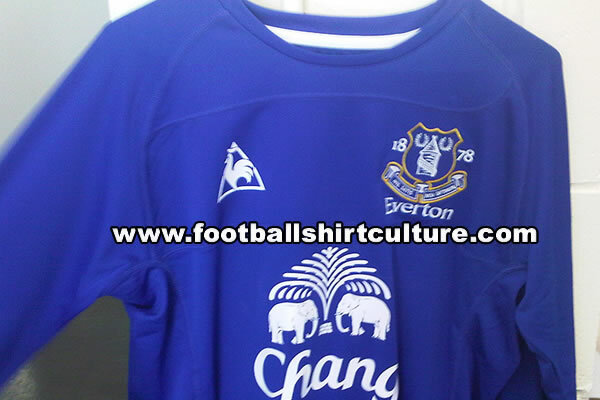 It’s a very, very simple blue shirt, which I’m sure will divide Everton fans down the middle. I appreciate the simplicity, but it does look a bit too much like a training top. Of course, there’s a decent chance this is not the real or finished version, but FSC has a pretty good strike rate when it comes to leaked pics. It’s certainly a LOT less conspicuous than the new pink (PINK!!!) away kit. 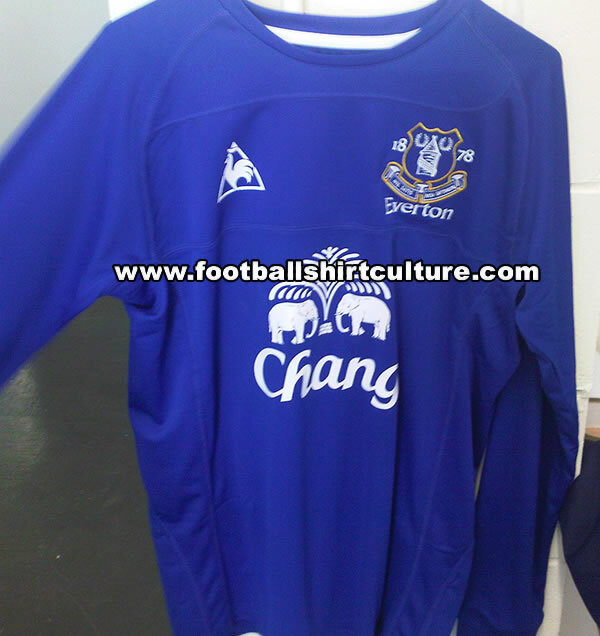 Could these be leaked photos of the new line of Everton pyjamas? When will someone at Everton go into a sports shop where they have quality designed shirts that make you want to buy it for the looks and then put it in a blue and white shell and stick an Everton badge on it!!!! I have not bought a shirt for 2 years now and still wear a training top from 08. Can we get a decent shirt from a decent shirt maker please! !